Updated September 27, 2018: INSIDE HONORS 2018-2019 is now available! Here is a reader’s testimonial, taken from Amazon with his permission. Please click on the cover below to purchase the paperback edition on Amazon. Here is the link for Kindle purchases. The Kindle book is now available after editing. You can also buy direct from Public University Press by using the button BUY NOW button below. The cost is $15.95, with free shipping and handling. The retail cost of INSIDE HONORS is $16.95 plus shipping costs. You should receive your copy in about two weeks. The button takes you to a login that allows PayPal or credit card transactions. Payment is secure, and we do not have access to your payment information. If you would prefer to buy an individual rated profile of one of the programs listed below, you can do so on the Buy a Program Rating page. Bookstores can now order direct from Ingrams. You should know that the book is very data-driven–it is “more steak than sizzle,” as one reader noted about the previous edition as well. Thirteen data points in each program are compared to the means for all 41 rated programs. There is considerable narrative, however, especially about unrated features such as study abroad, experiential learning, financial aid, and undergraduate research. Counselors, consultants, and honors educators: email Wendy, editor2@publicuniversityhonors.com, for discount information and invoicing. Columnist and consultant Lee Bierer: “John Willingham has literally written the book on Honors Colleges. INSIDE HONORS: Ratings and Reviews of Sixty Public University Honors Programs…where he shares his methodical research results. His research has demonstrated that increasingly one can find equally excellent value in the growing number of honors colleges in non-flagship institutions. But to find that value, you have to look deeply into what Willingham calls the ‘ground game’ of honors colleges and programs.”–Charlotte Observer, February 20, 2017. Columnist and author Frank Bruni: A Review of Fifty Public University Honors Programs was “…first published in 2012 and updated last year. 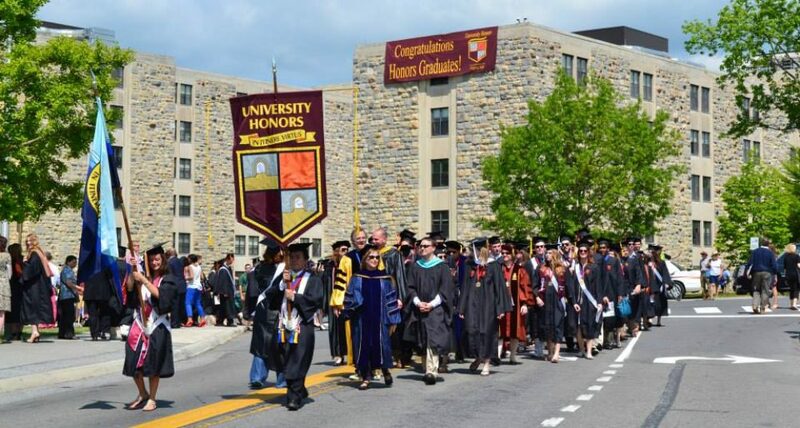 It’s linked to publicuniversityhonors.com, which began in 2011 and, like the [new] book, provides thorough appraisals of individual honors colleges and programs and intelligent thoughts on how they fit into the higher-education landscape.”—New York Times, August 9, 2015. Inside Honors 2018-2019 also has more information about merit scholarships than the 2016 edition included. The profiles in the new book are also longer, with new information about “experiential learning” offered by honors programs. The 382-page print version was published on September 25, 2018. The book rates all honors program components on a five-mortarboard scale (similar to five-star ratings for books and films) and compares the overall honors rating with the U.S. News ranking of the university as a whole. The 2016 edition features detailed information about honors courses, the number of honors class sections by subject, actual honors class sizes, and honors completion requirements for 41 major public university honors programs. And there is updated information about actual average test scores (not just minimum entrance requirements), actual HSGPA averages, honors graduation rates, prestigious awards (Rhodes, Marshall, Goldwater, etc. ), honors housing and benefits, availability of honors dorms, priority registration for honors students, and the ratio of honors staff to students. The detailed data we have received from honors Deans and Directors has yielded profiles that are approximately 7-8 pages in length for each program.